CHICAGO (20 March 2019) - The International Society of Transport Aircraft Trading (lSTAT) is pleased to announce the 2019 ISTAT Award winner, John Feren of L3 Electronic Systems. Feren was presented with the award at the President's Gala Dinner during the ISTAT Americas event in Orlando on 12 March. The ISTAT Award has been presented at the Annual Meeting of the Society since 2001. Individuals are nominated by members to receive this distinguished honor in the commercial aviation industry. Candidates may be selected from all industry segments and criteria for nomination includes outstanding contributions in the form of personal, corporate, technical, sales, product or marketing achievements that have benefited ISTAT and the commercial aviation industry. Feren is the vice president of business development and marketing at L3 Electronic Systems. Before that, he served as the executive vice president, head of global strategy and development of Aviation Capital Group (ACG), after beginning with ACG as its senior vice president of business development. Prior to joining ACG, Feren enjoyed a 30-year career with Boeing Commercial Airplanes in a number of capacities, including vice president of airplane sales for leasing companies and head of the used airplane group. He also served as the vice president of sales, marketing and in-service support at the inception of the 7E7, which is known today as the 787 program. 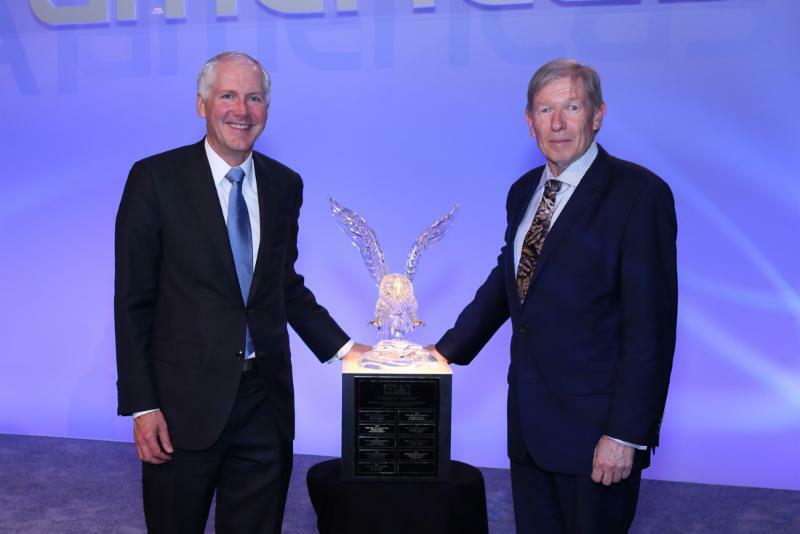 "We are proud to bestow the ISTAT Award on a distinguished industry leader each year," commented Douglas Runte, President of ISTAT, "and we are thrilled to recognize John Feren in 2019. John has served in a variety of roles at Boeing, Aviation Capital Group and L3 Electronic Systems and has made a significant impact within the industry. It is an honor to recognize him as the nineteenth recipient of this prestigious award." High resolution photo available upon request.